Canada’s aging electrical power grid was designed to power homes, businesses and industry, long before electric vehicles hit the road. Over the past decade, a major shift in the electric power distribution grid has seen renewable energy and the electrification of the transportation sector, including cars, trucks, buses and trains, emerge. The demand to establish an electric vehicle charging infrastructure and energy storage systems has raised concerns over electrical grid sustainability and security. Dr. Walid Morsi Ibrahim, PhD, is an Associate Professor in the Department of Electrical and Computer Engineering in the Faculty of Engineering and Applied Science at UOIT. His latest research aims to address critical issues of resiliency and cyber security within the electrical power grid. Awarded by the Canada Foundation for Innovation, Dr. Morsi's research will explore ways to safeguard Canada’s electrical grid operation in the event of a natural disaster or cyberattack. An expert in smart grid design and analysis, his robust research agenda focuses on the smooth integration of renewable energy and transportation electrification into the electrical power grid to help reduce greenhouse gas emissions. Situated in Canada’s energy hub, Dr. Morsi joined UOIT in 2010 as an Assistant Professor. He has collaborated on the development of UOIT’s unique Smart Grid specialization for third-year students in the Electrical Engineering undergraduate program. Dr. Morsi is an Adjunct Professor in the Department of Electrical and Computer Engineering at the University of Waterloo. In 2016, he was named Senior Member of the Institute of Electrical and Electronics Engineers (IEEE) for his contributions to the advancement of power systems and smart grid technology. He has received numerous awards for his work including Best Paper Award, IEEE International Symposium on Power Electronics for Distributed Generation Systems. Inspired by engineering design, he earned both his Bachelor of Science and Master of Applied Science in Electrical Engineering from Suez Canal University in Ismailia, Egypt. He moved to Canada and completed his Doctorate in Electrical Engineering at Dalhousie University in Halifax, Nova Scotia in 2009, at a time when interest in power systems and smart grid technology was gaining ground. Dr. Morsi was previously appointed Assistant Professor, Electrical and Computer Engineering Department, at the University of New Brunswick in Fredericton, New Brunswick. Under the supervision of Dr. Morsi, Jessie Michael Gillis, Master of Applied Science in Electrical and Computer Engineering student received the 2017 Outstanding Master’s Thesis Award for his thesis entitled: Time-Frequency Analysis Techniques for Non-Intrusive Load Monitoring. Dr. Morsi was appointed to this role for his contributions to advancing the field. Dr. Morsi and his students received this award for their poster entitled: Intelligent Energy Monitoring System Design for Smart Homes. In this role, Dr. Morsi collaborates on research projects and supervises student research. Dr. Morsi and his students received this award for their poster entitled: Solar Generation Tracking System. Dr. Morsi received this award for Improvement in Teaching Scores. Dr. Morsi received this award for his paper entitled: A New Islanding Detection Approach Using Wavelet Packet Transform for Wind-based Distributed Generation. A new voltage-based index is formulated in the time-frequency domain (using wavelets) and the energy of the wavelet coefficients associated with the change in mean voltage is used to extract the islanding features rather than using the energy of the wavelet coefficients themselves as in the prior art. Procrustes analysis is used to design the new wavelet, namely WGM1.0, by only satisfying the minimum properties on the wavelet filter of length 6 (i.e., six coefficients). Machine learning is then used to develop islanding classification models based on the calculated voltage index and the new wavelet. Two classifiers are used for the present invention: Support Vector Machine (SVM) and Ensemble Tree classifier (ETC). An energy management and optimization system for smart grids is proposed to manage available zonal tools and resources to fulfill the objectives of a decision maker. The present invention is based on an efficient energy management system that monitors and manages the power of a zonal segment of the power system, at a flexible scale while taking into account the nature and characteristics of the zone. The system can be easily integrated with existing single unit and whole system. As principal investigator of this major, six-year research program, Dr. Morsi is focused on developing solutions for the technical problems facing Canada’s electrical power grid with the emergence of plug-in electric vehicles and their charging infrastructure. He is developing design standards to ensure the smooth integration of these vehicles into the transportation sector. As principal investigator of this research project, Dr. Morsi will explore ways the electrical grid could sustain a natural disaster or cyberattack, and remain fully operational. In partnership with Whitby Hydro, Dr. Morsi is principal investigator of this research project to improve the effectiveness of demand response programs for smart meters. He has developed a smart meter app to provide customers with information about home appliance use, which allows the utility to extract usage information. Large-scale penetration of rooftop solar photovoltaic has become very problematic to many electric utilizing causing voltage issues and asset failure. Dr. Morsi is principal investigator of this research project to optimally design the smart active distribution system to enable high penetration of rooftop solar photovoltaic. Extracting accurate energy profiles through single-point measurement from large energy consumers has been extremely challenging. 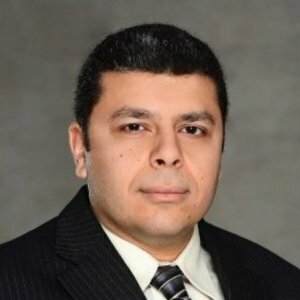 As principal investigator of this three-year research project, Dr. Morsi has developed smart monitoring algorithms that use advanced signal processing techniques to extract energy profiles using one-point measurement to optimize smart sensing and reduce monitoring costs. This work introduces a new approach that uses a combination of wavelet functions and Machine Learning (ML) for fault classification in MicroGrids (MGs). Particle Swarm Optimization is applied to identify the optimal wavelet functions combination that serves as a matching pursuit to extract the most prominent features, which are hidden in the current/voltage waveforms when applying the Discrete Wavelet Transform. Four different classification techniques (i.e. Decision Tree, K-Nearest Neighbor, Support Vector Machine, and Naïve Bayes) are used to automate the procedure of fault classification in MGs and their performances are statistically compared. The Consortium for Electric Reliability Technology Solutions (CERTS) MG is used to exemplify the effectiveness of the proposed approach after modeling the MG system in Power Systems Computer Aided Design/Electromagnetic Transient Direct Current (PSCAD/EMTDC) software package. This study presents a new approach for optimally designing a secondary distribution system, taking into consideration the effect of prosumers owning rooftop solar photovoltaics in residential subdivisions. The methodology is presented and the optimization problem of secondary distribution system (SDS) design in the presence of prosumers is mathematically formulated. Moreover, numerical examples that consider houses of different types/sizes are introduced to exemplify the proposed approach. This paper presents a novel approach based on the Harmony Search Algorithm (HSA) to optimally determine suitable wavelet functions and wavelet decomposition levels for accurate fault classification in Transmission Lines (TLs) unlike previous works in which only one arbitrary wavelet function is used. Discrete Wavelet Transform (DWT) is used to extract the features in the voltage and/or current signals using the identified wavelet functions. Machine learning classifiers are then used to build a proper classification model to automate the fault classification process. The results of applying the proposed approach are presented and discussed, and conclusions are drawn. This paper presents a new approach based on semi-supervised machine learning and wavelet design applied to nonintrusive load monitoring. Co-training of two machine learning classifiers is used to automate the process of learning the load pattern after designing new wavelets. The numerical results demonstrating the effectiveness of the proposed approach are discussed and conclusions are drawn. This paper presents a new concept based on wavelet design and machine learning applied to nonintrusive load monitoring. The wavelet coefficients of length-6 filter are determined using procrustes analysis and are used to construct new wavelets to match the load signals to be detected, unlike previous work which used previously designed wavelet functions that are special cases of Daubechies filters to suit other nonpower system applications such as communications and image processing. The results of applying the new concept to a test system consisting of four loads have shown that the newly designed wavelet can improve the prediction accuracy compared with that obtained using Daubechies filter of order three while keeping the prominent features of the pattern in the detail levels. In this paper, the problem of secondary distribution system (SDS) design considering plug-in electric vehicles (PEVs) charging demand is addressed using meta-heuristic optimization to minimize the overall secondary system costs. The objective function and the necessary constraints are mathematically formulated and presented. The effectiveness of the proposed SDS design approach is evaluated in terms of the overall SDS costs and transformer loss of life (LOL). The proposed design approach represents an effective tool for electric utilities to accommodate PEVs during the planning stage of SDS and also when retrofitting existing SDS. This paper investigates the impact of second-generation (SG) plug-in battery electric vehicles (PBEVs) on distribution transformers insulation life considering the time-of-use (TOU) prices. The effect of dual Level 2 charging, 3.7kW, and 6.6kW on the loss of life (LOL) of a distribution transformer is also studied. The LOL results demonstrating the effectiveness of SG PBEVs charging as two clusters versus one cluster are discussed and conclusions are drawn. In this paper, the synergy between wind-based distributed generation (DG) and plug-in electric vehicles (PEVs) is studied. MonteCarlo is used to address the uncertainties associated with wind speed variations and charging of PEVs hence simulating their impact at the distribution system (DS) level considering different DG penetration (up to 35%) and different PEV penetration (up to 50%). The excess in active/reactive power, energy exceeding normal (EEN), unserved energy (UE), and energy losses are investigated in this study. Forty-eight penetration scenarios involving DGs and PEVs are studied in this work and simulated in the IEEE 123-bus radial power distribution test system after modeling its secondary circuit in OpenDSS. The results of the simulation show that 30% wind-based DG penetration may be adequate to supply the active energy needed to charge PEVs. However, this might result in a reverse reactive power flow back to the substation. In this paper, the impact of plug-in electric vehicle (PEV) charging on distribution transformer overload and loss-of-life (LOL) in the presence of rooftop solar photovoltaic (PV) is probabilistically quantified. The Monte Carlo (MC) method is used to address the uncertainties resulting from solar irradiance and temperature in case of solar PV and also to emulate the probabilistic aspect of PEV charging. Twenty scenarios of different penetration levels of solar PVs and PEVs are considered in this work. The results have shown significant reduction in percentage LOL due to solar PV contribution in the case of all-electric (AE) residential dwellings and hence the transformer replacement may be deferred by nearly 4 years, while it has a minor effect in the case of residential dwellings with gas heat and electric water heaters (WWH). The impact of electric vehicles on power quality in electric distribution system is evaluated. Voltage deviations such as under/over voltage and voltage imbalance are probabilistically quantified using Monte Carlo. Moreover, distribution transformers overload and unbalance are assessed for different vehicle types (i.e., plug-in hybrid and battery electric), different vehicle penetration (up to 50%) while considering level 1 and level 2 charging. The results of Monte Carlo reveal that battery electric vehicles can cause more overload to distribution transformers compared to plug-in hybrid electric vehicles. Also level 2 and level 1 can be problematic resulting in secondary bus undervoltage and transformer unbalance, respectively.